Manufacturing Firm Selects 8x8 Unified Communications | 8x8, Inc.
G & M Group manufactures and supplies heat exchange systems and components for every type of application and environment. It specializes in developing copper/brass, aluminium and non-ferrous heat exchangers for use in systems that utilize air, water, oil, fuel, A/C gas, steam and virtually any other medium. Established in 1964, and still a privately owned family business, G & M Group continues to operate on the principles and beliefs of its founder. Its unshakable passion for innovation, progress, customer service and value for money has ensured its growth and success over the last 50 years. With 115 employees G & M Group has its HQ and three locations in Glasgow, one in Cannock, Staffs and one in Wellingborough, Northants and another in Galway Ireland. “We were looking to carry out a complete upgrade of our IT infrastructure across the Group which included the implementation of cloud computing solutions and it made sense to look at upgrading our increasingly out-of-date telephone system at the same time,” explained David Forrest, IT Manager for G & M Group. G & M had used different telephone systems across its locations with interoffice calls being charged as a local or trunk call and with the Galway location as an international call. The Glasgow HQ deployed an aging on-premises PBX which was maintained and supported by one company with calls and lines being provided by another. Administering and supporting different telephony systems at each location was not only difficult but also time consuming. Initially Forrest carried out his own research around the suitability of traditional in-house PBX and hosted Voice over the Internet (VoIP) systems. G & M Group has a long relationship with Grangemouth based ITFA having worked with them for ten years. In turn, ITFA had an established business relationship with cloud communications provider 8x8. McGuire arranged a demo of 8x8 cloud communications and Forrest was immediately impressed with the flexibility of its unified communications platform. It was clear that 8x8 was able to deliver a cost effective solution when compared to the quotes Forrest had received from the other providers he had talked to. Currently G & M’s Glasgow HQ and two other Glasgow locations plus the Cannock site are taking full advantage of 8x8’s cloud communications solution. G & M found the installation process to be extremely quick and painless. “Essentially, it took only a single day to set up the new IP phones on our users’ desks with all the configuration work being handled remotely by the 8x8 team,” stated Forrest. The smooth installation was aided by G & M taking full advantage of ITFA’s data networking expertise which enabled ITFA to carry out a full site survey which was shared with 8x8 prior to the install taking place.One of the key benefits for G & M is that 8x8’s cloud communications solution completely eliminates the headache of having an on-premises PBX which requires often expensive maintenance and upgrades. “With 8x8 all of our users have extensions making communication between different sites so much easier and of course, cheaper. 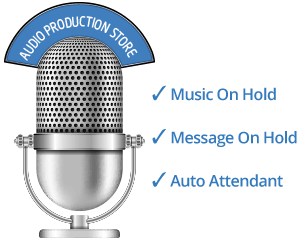 Additionally, now that we can communicate and collaborate with each other quickly and easily, the Group as a whole feels much more integrated than would ever have been possible with the multiple telephony solutions we were previously using,” Forrest commented. G & M began seeing cost savings from day one of installation. 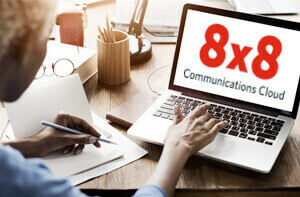 With 8x8’s VoIP solution G & M has been able to drop its expensive traditional phone lines and continues to see monthly cost savings as more locations are added. 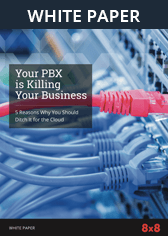 “Given the benefit we have seen from implementing 8x8’s cloud communications solution, I would have no hesitation in recommending both ITFA and 8x8 to other businesses looking to move their business telephone system to the cloud,” says Forrest. Delivering a unified communications solution to G&M Group.